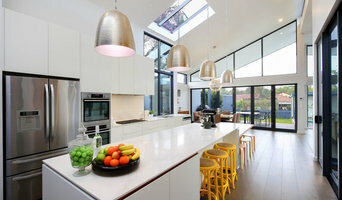 Ian Bennett Design Studio is located in Newport Beach on Sydney’s Northern Beaches and services the greater Sydney area. The Studio specialises in high-end residential design for new houses, alterations & additions to existing houses and interior design. Design 61 is a creative and innovative design and drawing company that can not only prepare detailed drawings for submission to either your Local Council or an Accredited Certifier but also bring your designs to life through the use of 3D Architectural Visualisations at cost effective prices that are more than affordable to Builders, Developers and Owner/Builders. Our detailed knowledge of the requirements of the NSW Planning laws in relation to both Local and Complying Development provide us with a distinct advantage in helping you to obtain approval for your development as quickly as possible with minimal delays. Contact us direct for a no obligation free estimate of the cost for bringing your ideas to life. Sydesign is a boutique multi disciplined firm located in Sydney's Inner West in Stanmore, Australia providing design consulting, architectural drafting, interior design and 3D rendering services. We specialise in bespoke housing design for both new build and renovation projects to deliver high quality, innovative design solutions that are individualised to your personal needs. T Vincent Design is a boutique design practice specialising in new homes, residential alterations, additions and smaller multi-housing developments. Our focus is to understand your family, social, economic and environmental needs and create a sustainable and special place to live. We have extensive experience in designing houses in Sydney's North Shore, North Beaches, Inner West and South and successfully managing them through the approval and building process. Our engagements models are flexible and can include as much or as little as you require. T.Vincent Design draws together a team of talented and committed designers with Tracy Vincent as principal. OVER 33 YEARS OF EXPERIENCE! FREE ADVICE At your convenience we will come to your project site and provide a site consultation that will cover: * Discussions about your ideas & proposals for the project. * Recommended design solutions to meet your needs. * Estimation of our Design & drafting fees including Building costs. * An outline of Council's requirements and approvals required. * Advice on additional consultants such as Engineers or Surveyors etc. * Builder or contractor recommendations. * Handy Tips for the owner builder. * How to get quotes from builders or contractors. * Help with preparation of building contracts. * Estimated timeframe for the design & drafting process. Luxitecture is an experienced, Sydney based, building design practice committed to the creation of beautiful architecture. We are specialists in bespoke residential design, our work encompasses a wide variety of architecture ranging from heritage to contemporary design for new builds, renovations and restoration projects. Our success is a reflection of our passion for the industry, attention to detail and collaborative design approach. Home Impact is a family owned and managed business established for over 40 years’ experience with a reputation built on quality, care, and value. Whether you are extending or building a completely new home, we are committed to helping you every step of the way; from concept through to completion. Dealing with a passionate and dedicated team throughout the duration of your project ensures that your project is completed on time, on budget and that your expectation of quality, comfort and style are exceeded. With an exceptional wealth of experience and a team of highly qualified in-house designers and builders, you can rest assured you have made the right choice. Working with Home Impact will give you the confidence and peace of mind knowing your project has been built to the highest of industry standards. Our team are passionate about making your project one of a kind, tailoring your designs to make the most of every square inch, with a total commitment to quality. We welcome you to Home Impact. 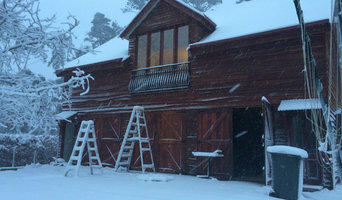 Brian van der Plaat Design is a solo operated building design practice, which began in 2003. My connection to architecture is through the process of drawing and making, which comes from my background growing up in the ’70s and ’80s. All projects and concepts are developed by hand as sketches and models. It is a hands-on craftsman solution, which allows me to explore ideas. I use it as an active communication tool to show possibilities and explain concepts to my clients. I create simple, elegant projects by following the Modernist principles. All projects are based around a simple planning solution and developed around a rational structure. 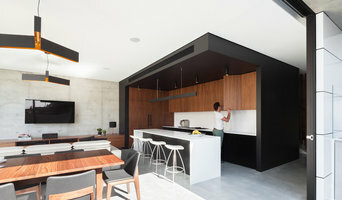 Each job is about possibilities, working closely with each client to create unique, beautiful projects with timeless appeal. I work on a range of projects from single residential dwellings, whether alterations and additions or new builds, mixed-use and multi-residential architecture, as well as retail and commercial projects. As a sole trader, I have a craftsman-like approach to each project, which suits my skill base and personality. Architectural drafting, design and documentation service specializing in DA plans and applications. We can handle the whole planning approval process, so you don't have to worry. We use our contacts in the industry to make your development application run smoothly and as efficiently as possible. 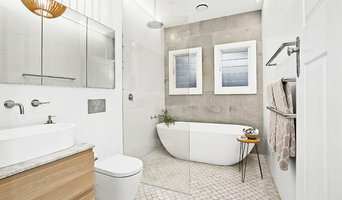 Expect personal, friendly service with design ideas to match your development budget. We don’t charge for updates to drawings, you pay a fixed cost to help you budget for your development application. We also provide development application management services to people who are too busy or unsure of the development application and construction certificate processes. 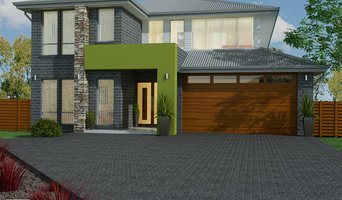 Drafting Help is your choice for complete Sydney architectural drafting services. Specialising in Bespoke Residential Building Design For as long as I can remember, design has played a major part in my life. Growing up in the Irish countryside, I’ve always been fascinated with the built form and how it interacts with its surroundings. Initially my love of landscape design resulted in being offered a position at the Royal Botanic Gardens in Dublin, to study Horticulture and Landscape Design. However, my passion for residential design won out in the end and I successfully completed a Bachelor of Science degree in Architectural Technology at Napier University Edinburgh. Over the past 14 years I have lead Health, Education and Residential projects for several multinational architectural firms based in the UK and Australia. In January 2016 I established my own firm BOX Design Studio, to focus solely on bespoke residential projects that are client focused and environmentally sustainable. I work closely with my clients and their design brief to produce practical contemporary solutions that fit within budget. I am respectful of a building’s history and aim to maximise light and space, creating where possible a seamless indoor/outdoor aesthetic. I understand the time constraints that people face balancing their work/home life whilst managing finances. This is where BOX Design Studio fits in. I offer a full range of building design services that can be adapted to your needs and aim to take the stress out of the design and build process. Contact me for a free consultation and take the first steps in the journey to building the home of your dreams.